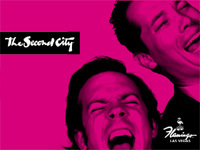 It will be hard for you to find a show that will make you laugh as much as you will when you see Second City Live. The comedy troop does performances twice a night, six days a week and they are always hilarious. Second City has a way of sending comics off to do better things. Comics that have started here have moved on to do Saturday Night Live, movies, and many other great things. Past performers have included Gilda Radner, Mike Myers, and Bill Murray. This type of improv is something above and beyond the other types you have seen. In Second City, all of the skits are loosely related in some hilarious way. Due to the raunchy and hilarious antics that you will see on stage this show is not suitable for children. You must be 18 years of age or older to attend a Second City showing. Furthermore, it is recommended that you reserve your seats for the date that you would like to see the show. Seen the Second City Show?